Beniamino Bilali is the young and talented pizzaiolo who fell in love with pizza making as a boy and now coordinates the group of Pummà pizzerias, in Bologna, Milan, Milano Marittima and Ibiza. 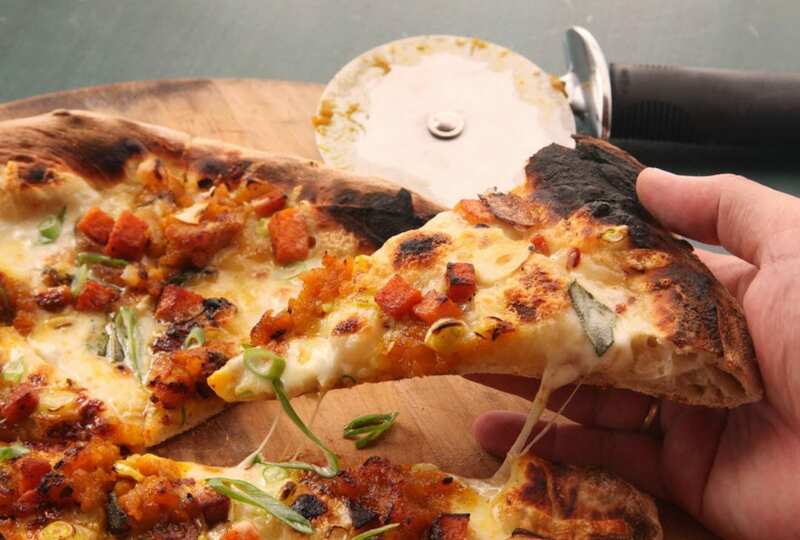 Fine Dining Lovers caught up with the pizza expert to discover his top tips on making the best pizza base for all those trying their hand at spinning pizzas at home. From the hydration of the dough to the rising time to the tomato used, here is all you need to know before going wild with the most whimsical toppings you can conjure up. The amount of water present in a dough is called “hydration” and is expressed as a percentage of the kilograms of flour.” For an optimal result I recommend hydrating the mixture to at least 60%,” explains Bilali. Once the dough has been stretched out, it's time to think about the basic condiment: “Never season the tomato sauce excessively, choose better quality tomatoes, letting them express their personality “without needing too much help.” Season gradually, to taste, with oil, salt and other ingredients. It's essential to always use a quality extra virgin olive oil, even if a splash should be used to season the tomato. Beniamino Bilali says: “Use a good raw EVO oil.” Avoid using excess olive oil during the preparation of the base, sometimes to add a little drop after extraction from the oven, perhaps before adding a topping that doesn't need cooking.